London & North Western Railway Timetable cover advertising the West Coast Royal Mail Route in connection with the Caledonian Railway Company. In excellent condition. 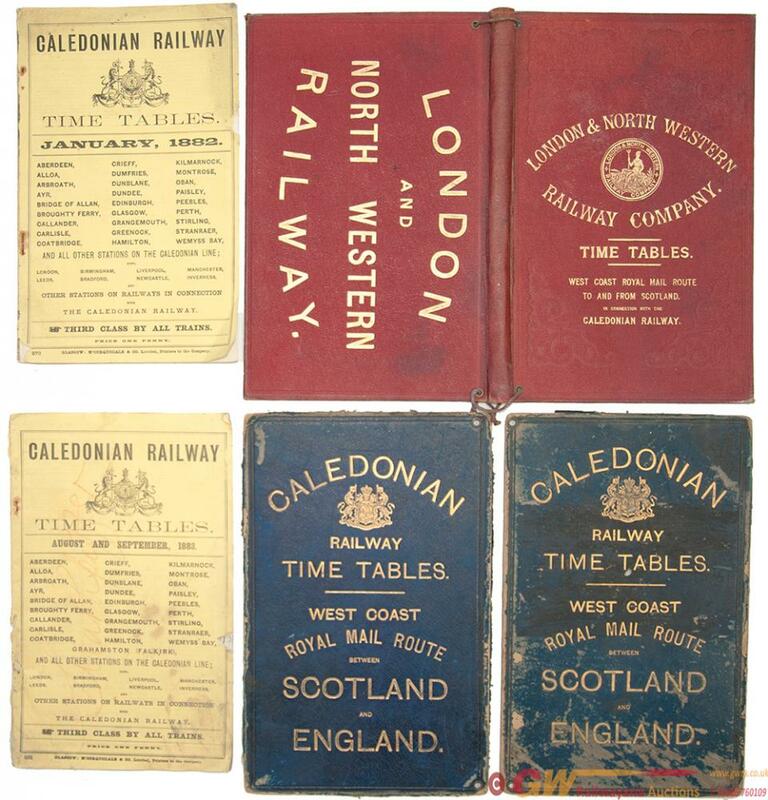 Together with a Caledonian example and two Caledonian Railway Timetables for 1882 and 1883.